Galway fans of Elf can see this festival favourite on the big screen when it is shown at the Pálás Cinema on Monday December 10 at 6.30pm, with funds raised on the night going to Pieta House. One Christmas Eve, a baby crawled into Santa's bag of toys. 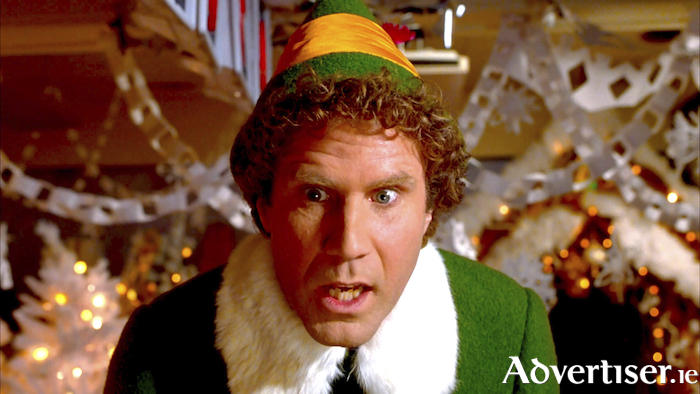 Raised as an elf, Buddy (Will Ferrell ) grows into an adult three times larger than the biggest elf, and realises he will never truly fit in at the North Pole. So he goes to New York City. There he finds his workaholic father, who is on Santa's "naughty" list, a new mother, and a 10-year-old brother who does not believe in Santa or elves. Here, Buddy discovers his destiny - to save Christmas for New York and the world. Pieta House provides freely accessible, professional, services to people who are in suicidal crisis, those who are self-harming, and people who have been bereaved by suicide. Pieta House has centres across Ireland and its therapeutic approach is rooted in compassion and care. Call 1800 247 247 or text 'Help' to 51444. Tickets are available via palas.ie or 091 - 394800.